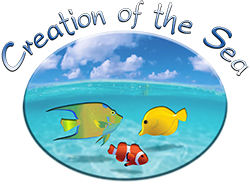 As founder of Creation of the Sea, I have discovered better health from owning and viewing saltwater aquariums. My passion for sharing this experience with others is what motivated me to begin the journey of supplying beautiful saltwater aquariums to not only fulfill the needs for art, exploration, entertainment, and/or education, but to fulfill the needs for medicine and/or therapy as well. Before I address the benefits of owning a saltwater aquarium however, I would first like to state why our company slogan is “saltwater aquariums made naturally and simple”. The complexities of conventional saltwater aquarium systems containing artificial filters can be costly to maintain, overwhelming, and sometimes even problematic. In the American Pet Products Association (APPA) 2009-2010 National Pet Owners Survey, the cost for saltwater aquarium equipment and laborious saltwater aquarium maintenance procedures were determined to be the leading drawbacks of owning a saltwater aquarium over the past decade. However, I’ve learned that these drawbacks are not experienced as much (sometimes not at all) with saltwater aquariums containing natural filtration systems. My passion for supplying natural and simplistic saltwater aquarium systems, so that they are more affordable to maintain and enjoyable to own, was just one of the motivating factors for Creation of the Sea’s establishment. Our saltwater aquarium systems are completely natural by design and function, and rely mostly on living (natural) filters to stabilize, or balance, an aquarium environment (please go to our All-Natural Filtration Systems web page to learn more). Now, getting back to the benefits of owning or viewing a saltwater aquarium. As we delve into the many benefits that a saltwater aquarium provides, I was amazed at how healthy owning and/or viewing a saltwater aquarium can be. For me, viewing saltwater aquariums is both relaxing and therapeutic. 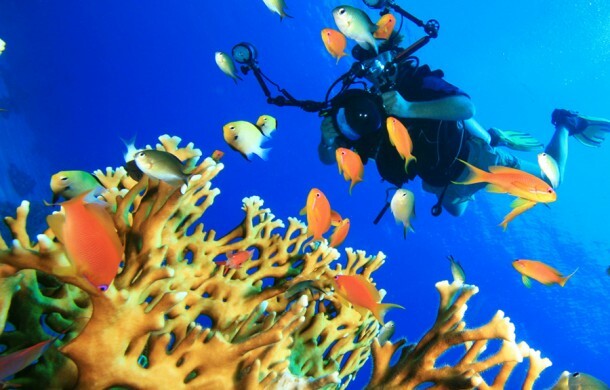 There was a time many years ago when observing the colorfully vibrant and tranquil oceanic environments inside of my aquariums helped reduce the heart palpitations that I used to experience from anxiety and stress, as viewing saltwater aquariums always helped me establish peace of mind. Research studies have shown that saltwater aquariums, specifically, can lower blood pressure, relieve stress, and promote relaxation. In the APPA 2009-2010 National Pet Owners Survey, the foremost benefits derived from owning a saltwater aquarium included relaxation and relief of stress, peacefulness, and better health for owner and family. According to this study, these important benefits associated with owning saltwater fish have remained the same over the past decade. All of these studies help reaffirm my strong belief that saltwater aquariums promote relaxation. But wait, there’s more! Owning a saltwater aquarium taught me that maintaining an alkaline pH level/value in the human body is extremely important as well. I learned that the same principals apply for maintaining a healthy saltwater ecosystem as they do for maintaining a healthy body, as achieving a slightly alkaline pH level/value (e.g., the ideal 7.365 level) or higher in one’s body is needed for his or her optimum health. In addition to saltwater aquariums and oceanariums, my company also provides pure water, salt and mineral products derived from the sea to help people and animals achieve a healthy pH level in their bodies (please go to the Medicine web page for more information). These natural substances are considered by many to be “medicinal”, and are provided by our Medicine division for health enhancement. I really believe that, together, our natural medicinal substances and saltwater aquariums can help people establish better health. If not, then at the very least, our natural medicinal substances will help one feel just a little better…and our saltwater aquariums will help fulfill one’s need for art, entertainment, education, and/or exploration better than he or she can imagine! Thank you for your interest and visiting our website. I hope you find what you’re looking for, or in need of, at Creation of the Sea!